This second workshop is part of three practical workshops for enthusiasts of electronic sounds. The open-source program VCV Rack is becoming increasingly popular among musicians that are tempted to work with the popular modular synthesizers. One of the biggest advantages of the software version of the synthesizers is – beside its price – the practically unlimited flexibility, so you can let your fantasy run free. Lead by Ondřej Spiritz we continue to work with the techniques of modular synthesis: LFO and the basics of logic. For the beginners A4 recommend to have taken part in the first part of the Workshop. Bring your own laptop and earphones. The fee for the workshop is 10 EUR and the capacity is limited so register soon at: workshop@a4.sk. 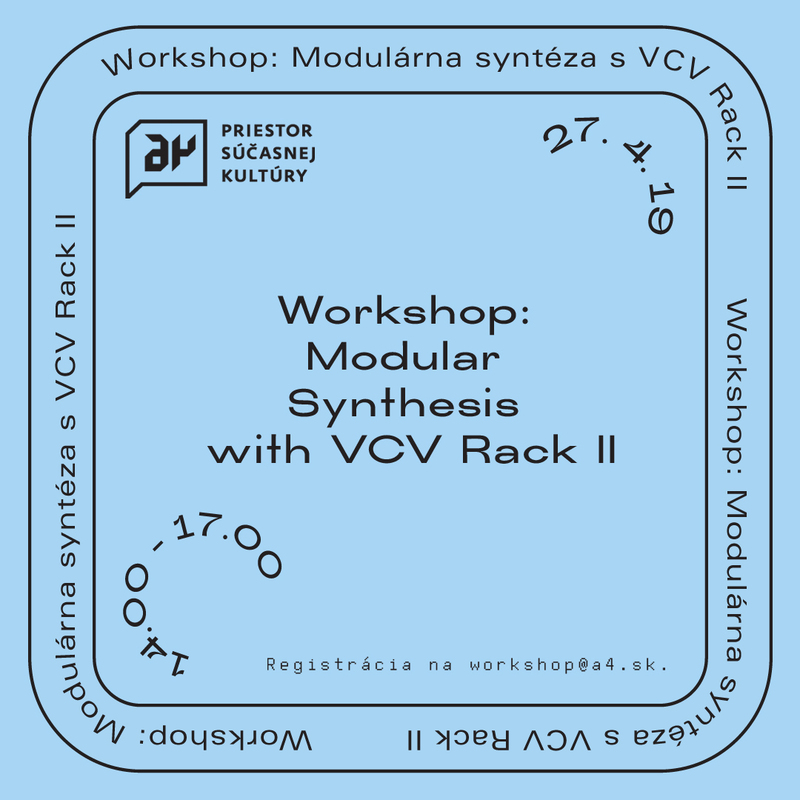 Participants will continue to deepen their theoretical knowledge, digital skills and digital literacy with modular synthesizers by working with the VCV Rack software.